Thanks guys, looks like I missed this month's meeting. Is it at Old Chicago in MWC? Also do you guys know any swap meets coming up in Oklahoma? Read the new users section. Santa FE MWC. Normally there are only 2. One in may/june in yukon. 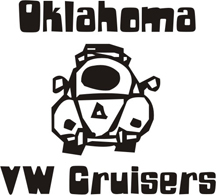 Other in Tulsa in sept. We are going to maybe do a swapmeet some other time. Thanks for the heads up Jim! Can't wait till spring/ early summer gets here!